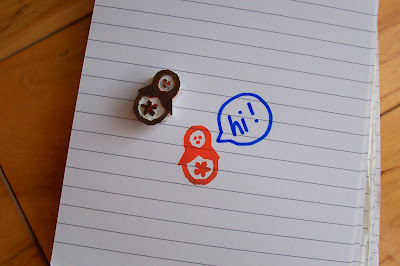 Just a little quickie....a hand-carved rubber stamp made from simple plastic eraser. A great idea to put an original spin on anything. Thanks for sharing the idea! oooh!!! so cute!!! very nice, good work!